BlueScope announced that its preliminary unaudited underlying earnings before interest and tax (EBIT) for the year ended 30 June 2016 is expected to be around $570 million. According to the company, underlying EBIT in the second half is expected to be around $340 million, compared with prior guidance of around $270 million. The steel maker attributed the improved performance to the higher margins across its international businesses – in particular North Star and Steelscape – and the turnaround in Asian region steel prices and their favourable impact on estimated year-end inventory net realisable value provisions in Australia. The company also informed that its net debt has been reduced by approximately $600 million, mainly due to improved operating cash flow. 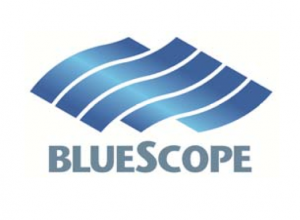 “Preliminary unaudited net debt at 30 June 2016 is expected to be around $780 million, or a multiple of 0.8 times expected pro-forma FY2016 underlying EBITDA2,” BlueScope said in a statement. The company’s financial results for the full year ending June 30, 2016 will be released on August 22.